Attention Sons of Erin (also Daughters): Here’s a heads up on the upcoming season for the Irish Club. Our first meeting will be held on October 4 at 6:00 p.m. in the ballroom. This meeting is a potluck. Bring your favorite salad, meat dish, dessert, munchies, etc., to share with fellow Irishmen. Also, this is a BYOB. I’m not sure about silverware and dishes and glasses, but at this time, I guess we should plan to bring our own settings. More details next month. 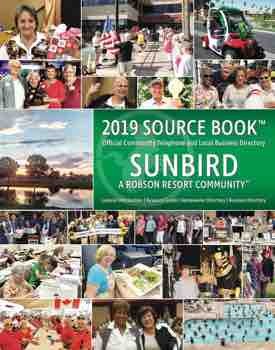 Volunteers are needed to help deliver the SunBird News this season. If you are interested, please call Don and Mary McMullen at 219-6468. This is a once-a-month commitment, only one day per month. Please help out if you can. Summer is sizzling, and everyone is either gone (smart!) or suffering (yuk!). It will be good to see everyone in October, welcome our new officers and plan for another fun-filled season! Until then, keep cool, stay well and pray for rain.